WHAT INFORMATION DOES SLB COLLECT? The data SLB collects is used to help us better serve our members and to further our mission to advance health and well-being by promoting research and education through collaboration opportunities and service to our society members. The information you provide to us will be used to keep you up-to-date on areas for which you have expressed interest. We will maintain the confidentiality of your personal information. It will be used only to support our member services with you or your institution/organization. If at any time you no longer wish to receive notifications or promotions from SLB, contact us, and we will remove you from our active mailing list immediately. USE OF INFORMATION – HOW DOES SLB USE DATA COLLECTED? General Users. SLB does not collect any personal information from users browsing its Website. When you visit our website, we may automatically collect statistics about your visit. This information does not identify you personally, but rather about your visit to our website. We may monitor statistics such as how many people visit our site, which pages people visit, from which domains our visitors come and which browsers people use. We use these statistics about your visit for aggregation purposes only. Aggregate data are only used for internal and marketing purposes and do not provide any personally identifying information. Personal information and information specific to the requested activity may be collected along with a request for service, product, marketing, or event resources. For example, this information may include your organization name, contact name, address, telephone number, email address and services requested. SLB utilizes MemberClicks for website and database services. Please refer to the MemberClicks privacy policies. Communications. Generally, SLB uses data collected to improve its own web content; to respond to visitors' interests, needs and preferences; to further SLB’s mission; and to deliver products and services. To gain access to some resources and personalization features on the SLB website, Users are asked to register and provide some limited information. This information is submitted voluntarily. SLB asks Users to provide information related to supporting the specific service being provided. 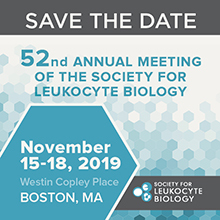 Similar information may be requested by SLB through conference registration, abstract submissions, publication orders, subscriptions, and contest/award applications. Additionally, for some emails sent by SLB to Users through its contact center and electronic newsletters, we will collect specific information regarding what the recipient does with that email. For those emails, SLB will monitor whether a recipient subsequently clicks through to links provided in the message. Other information collected through this tracking feature includes: email address of a User, the date and time of the User's "click," a message number, tracking URL number and destination page. SLB only uses this information to enhance its products and distribution of those products to its members. Credit Card Account Information. SLB does not disclose credit card account information provided by its customers. When customers choose to pay using their credit cards, SLB submits the information needed to obtain payment via a secure internet protocol to the appropriate payment gateway. Please refer to the Moolah system and policies as the contracted payment gateway utilized for SLB. 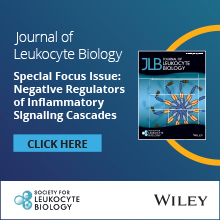 SLB is the abbreviated name of the Society for Leukocyte Biology, located at 9650 Rockville Pike, Bethesda, Maryland 20814. We collect information about you when visiting the SLB website relating to your use of the SLB site, collected using cookies. We also collect information when you request our services and when voluntarily completing surveys, contact forms, responding to marketing and participating in SLB events and activities. We only hold this information as long as it is necessary to fulfill a contract, provide you with requested services (including SLB newsletters and communication updates) or where we believe you will be interested (see ‘Legitimate interest’ below). We may share your information if you indicate you would like to learn more about a SLB society or partner during a meeting registration process or in your communication preferences. You have a right at any time to stop us from contacting you for these purposes or giving your information to third party partners or suppliers by modifying your communication preferences or emailing us. We gather statistics pertaining to email opening and clicks using industry standard technologies to help us monitor and improve our e-newsletters and other communication resources. Generally, those who wish to attend SLB events will register for those events online, by email or over the telephone. During the process of that registration, you share with us personal information about yourself which generally includes contact information, demographics pertaining to your profession and payment information. Personal Information Registration information will be part of a database that is accessible only to SLB contracted staff and conference organizers. You may be included on the conference attendee listing and/or event app as part of your registration. You may opt out of these inclusions anytime be emailing us. You may also request to be excluded from attendee lists that may be provided to event sponsors. Modification: Request changes or updates to any personal data SLB stores. Erasure: Request that SLB purge all personal identifying information.